LOCATION! LOCATION! LOCATION!...SOUTH OF I-10 & NEW A ROOF INSTALLED MARCH 2018. 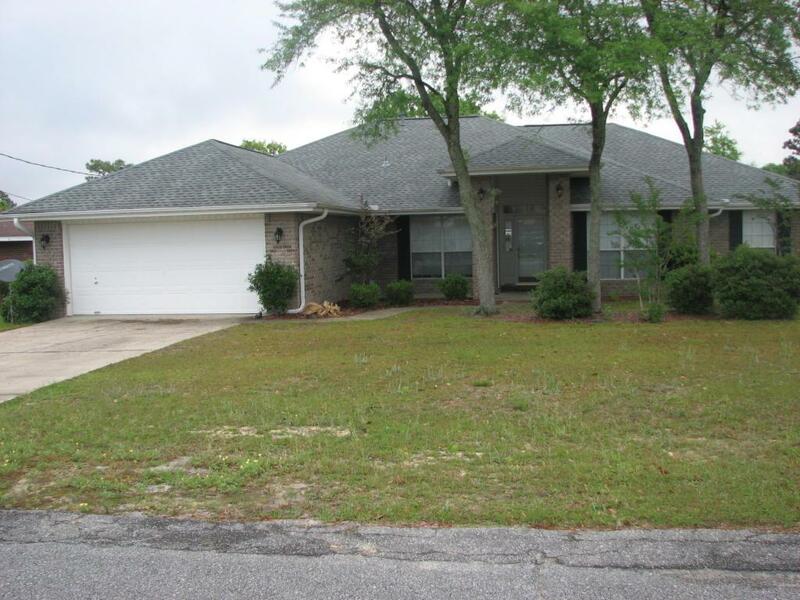 Affordable 4 Bedroom 2 bath home, laminate flooring, except master bedroom is carpeted, and tile in wet areas. Spacious rooms in this split bedroom home. When you step into the foyer you will have the formal Dining to the left and Living Room or Office to the right. The Great Room is accented by the corner fireplace, cathedral ceiling, and plant ledges. The Kitchen has a pantry, breakfast Bar, and eat in kitchen. Master suite is very spacious and master bath has his and her closets, double vanity and garden tub/show. This is the perfect home for entertaining and kids. Level privacy fenced back yard, and well established landscaping.